With Anzac Day in Australia only weeks away on April 25, here is a newly published children's picture book and an app suggestion to share with your kids, plus links to earlier books I and others have reviewed. 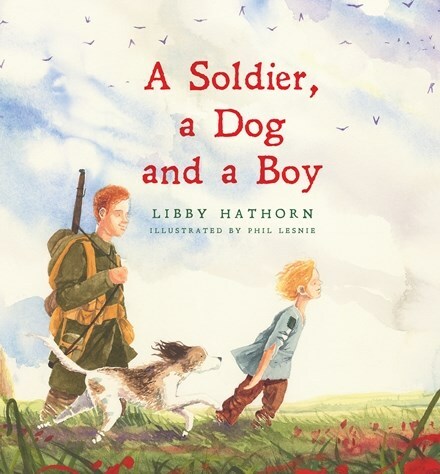 A Soldier, a Dog and a Boy, written by Libby Hathorn, illustrated by Phil Lesnie and published by Lothian (Hachette Children’s) (2016.) RRP: $Au24.99 (Hardback), Ebook $Au14.99. A moving story, told completely in dialogue, about a young Australian soldier in the battle of the Somme. Walking through the fields away from the front, he finds what he thinks is a stray dog, and decides to adopt it as a mascot for his company. Then he meets Jacques, the homeless orphan boy who owns the dog. The soldier realises that Jacques needs the dog more - and perhaps needs his help as well. With stunning illustrations from Phil Lesnie, this is a deeply moving celebration of friendship in times of war. The fact that A Soldier, a Dog and a Boy was based on Hathorn’s months of research on her uncle “…who survived Gallipoli but went on to fight at the Battle of the Somme and was killed there in 1917 at just twenty years old” helps make a story that is already personal and emotional, even more so. The story is all in dialogue, but as you would expect from a poet of Hathorn’s calibre, words are carefully chosen to convey a strong sense of time, place and character. Children may not be ready for a historical or political background to Australia at war, but they will understand the personal connection that develops between a soldier, a dog and a boy. Lesnie’s illustrations bring Hathorn’s words to colourful life for us, filling in the story behind the dialogue and enhancing our understanding of both characters’ perspectives. There’s only one problem with this picture book - can parents, librarians or teachers share it with kids without blinking back tears? But is that really a problem? Children need to learn not to be afraid of strong emotions, just as we adults do. It’s only by thinking about the real personal stories of lives affected by war that we can gain a true understanding of it. I recommend this recently published children’s picture book to homes and libraries everywhere. This is a free app from the Australian Broadcasting Corporation. • Spectacular cinematics feature pivotal moments throughout the day. • Accurate, interactive 3D map spaces pinpoint events across the day. • 3D models of military hardware showcase the technology available to the opposing sides in battle. • Veteran video accounts and audio war diaries, read by Hugo Weaving and others, bring the poignant experiences to life. 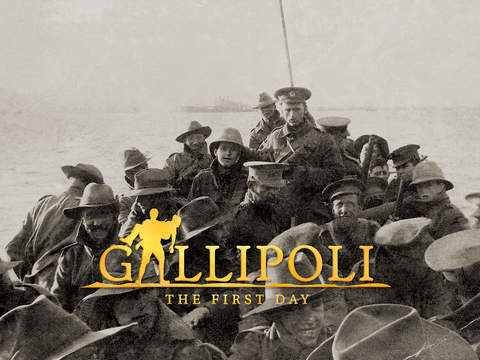 • Video commentary by historians including Harvey Broadbent and Les Carlyon; the Governor General Sir Peter Cosgrove; former Prime Minister John Howard and many more. • Personnel records, archival photographs and military trees detail some of the thousands of soldiers who fought on the day. • Users progress rewarded with an increase in rank and specialist medals. A completely remastered edition of the AFI award-winning documentary, originally published online in 2009. Excellent Resources for Anzac Day 2015 at The Book Chook. Children’s Books for Anzac Day 2014 at The Book Chook. 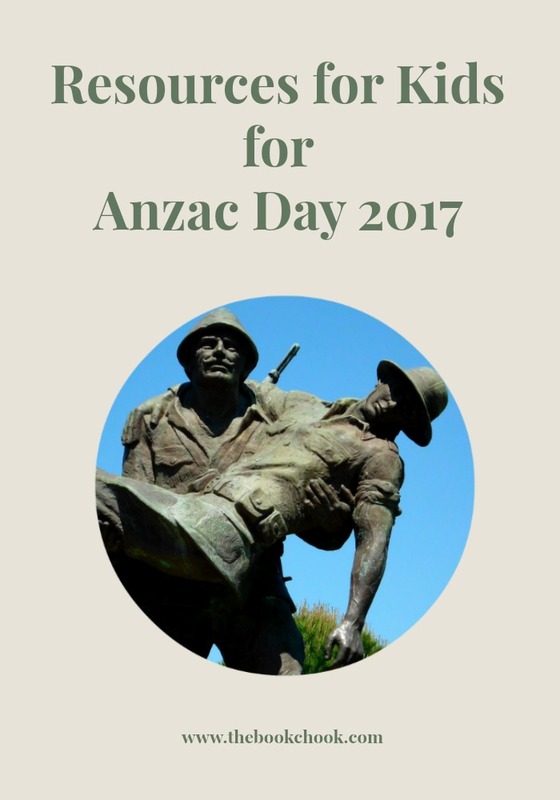 Anzac Day Picture Books - Updated from Jeanne at A Peaceful Day. Top 20 Picture Books for Anzac Day from TL, Megan Daley. Books about Anzac and World War One at TL Barbara Braxton’s The Bottom Shelf. Online Resources about Gallipoli curated at Pinterest by Barbara Braxton. Book Suggestions to Help Kids Understand WW1 curated at Pinterest by Barbara Braxton. Thanks Barbara - great resources!